If you’re using WooCommerce for your online shop, then you’ve already taken one of the best decisions for your business. With WooCommerce, building your product or digital downloads shop, is quick, easy and typically quite cheap. Now, want to take your store to the next level? There are plenty of WooCommerce extensions available that could give you the edge over the competition. The more you enhance your store, the better the experience you can create for potential customers. And the better the customer experience, the more your shop will earn. 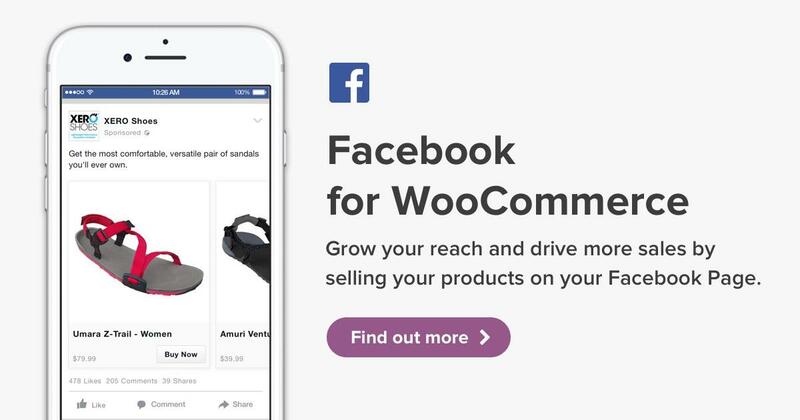 Here are some of the best WooCommerce extensions we’ve found are extremely useful for pushing your business forward. The Internet isn’t confined to just one country and if you want to sell more products, you shouldn’t either. With WooCommerce Currency Switcher, you can make it easy for your customers to pay in their preferred currency. You can have your prices converted in real time or set different price points for your products for different countries. 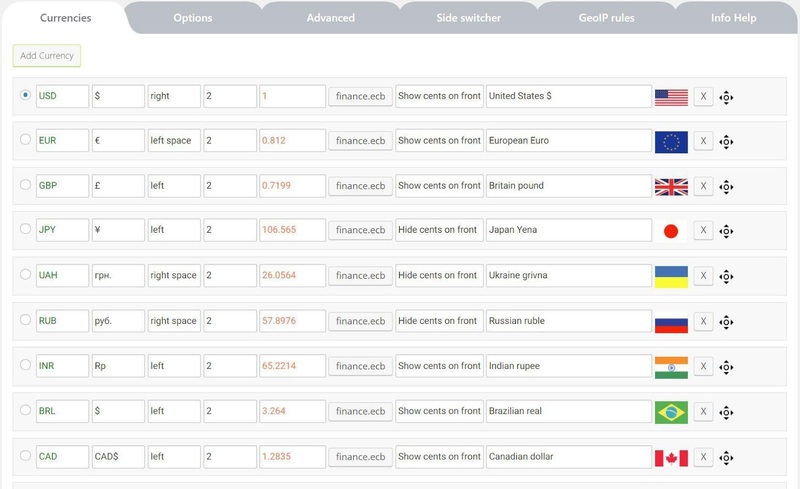 Currency Switcher can be added to any widget area and gives you the choice of either a drop-down menu, flags or a side switcher. The extension is able to use any worldwide currency including Bitcoin, and you can set the conversion rate manually or allow it to auto-update.Geolocation integration allows you to detect your visitors’ native currency and allows them to complete the checkout process in that currency. You can choose to set different prices for different countries or show the shopper the approximate cost in their country’s currency.You can install and use this extension for free, it provides support for two currencies without purchasing. Realmag, the developer behind this product, bills its software as the number 1 selling product filter on WooCommerce extensions and when you look at the feature set you begin to understand why. WooCommerce Product Filter provides your customers with all the filtering options they could ever want, enabling them to locate exactly what they are looking for quickly and hassle-free. Shoppers can filter by categories, price, stock levels, sale items, ratings and many more. 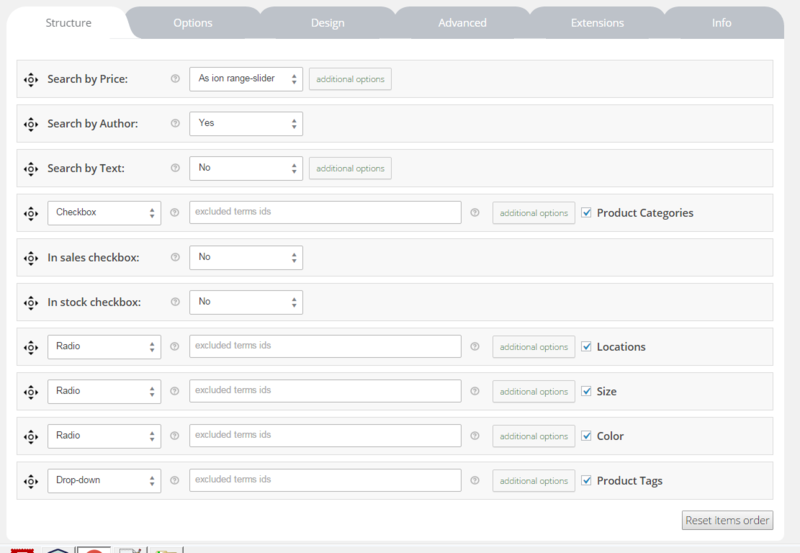 On your side of the extension, you are able to fully customize how the filter works and choose from unlimited layouts. You can set filter presets and learn what your customers are searching for with filter analytics.The extension promises easy plugin integration and offers support through community forums, a knowledge base as well as offering premium support. If that isn’t enough, they have a no questions asked money back policy. With all this available in the extension, their number 1 status is understandable.Such an extension also helps push the envelope with your online store. If you had to compare WooCommerce vs Shopify, you’ll see that the breadth of extensions available for the former far exceeds what is available for the latter. The great news is that most of these extensions also have a free version. Invoicing is essential, but a tedious task, which this extension automates easily for you. It creates PDF invoices attaching them to your WooCommerce email, and sending them to your customer’s file storage service. It can also create PDF packing slips which can also be sent out to customers. You have many different templates to choose from too, and if they aren’t exactly to your liking you can customize to suit your needs. There are many date format and invoice customization choices available to you. Add extra columns for discounts, refunds or whatever else you need.You can manually create invoices and packing slips as required. 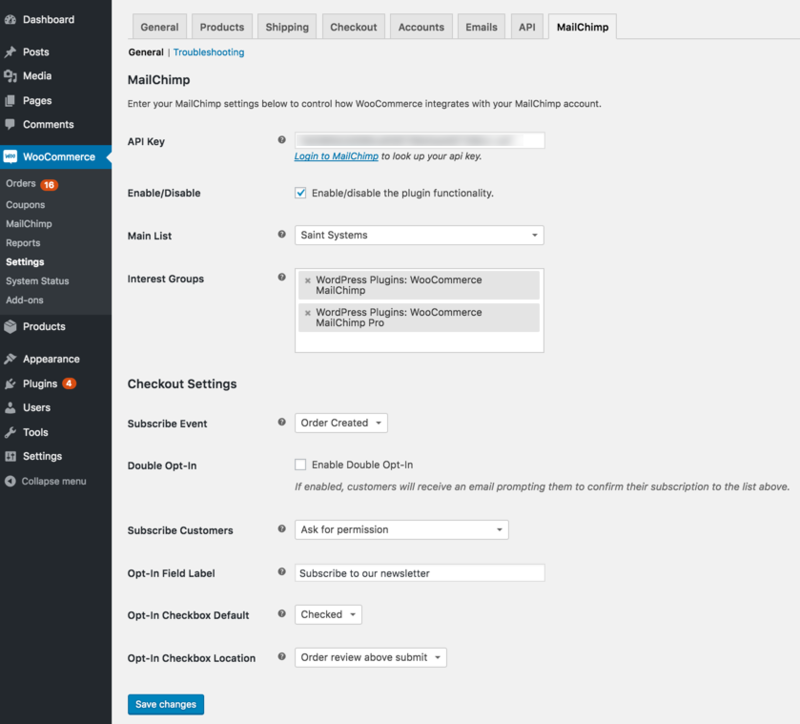 You have the choice of either using WooCommerce’s order numbering or use the sequential system within the extension. If these features weren’t enough to convince you, this plugin is very well liked and rated by its uses too. In 2018, Paypal’s total payment volume increased to over 578 billion US dollars. This represents an increase of 28% over the previous year and shows why you should include Paypal integration in your WooCommerce shop. The Paypal Checkout extension (an official WooCommerce extension) has been created to streamline the payment process, reducing the chance of the customer making an error and making purchasing easier. 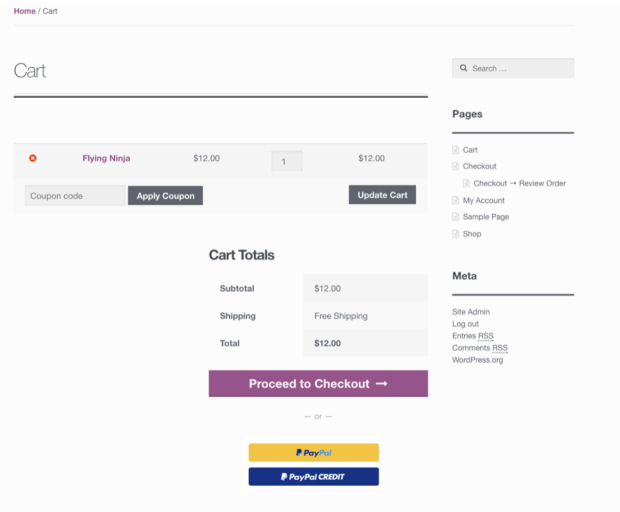 The fewer steps involved in the checkout process the better, as it gives your customers less opportunity to abandon their cart.This extension bypasses most of the standard WooCommerce checkout, completing the purchase through Paypal.The extension gives you the option of offering Paypal Credit to US citizens at the checkout. You still get paid immediately but your customer is given more time to pay. If your shop offers subscriptions, this option is available too. People spend an inordinate amount of time on Facebook and this extension allows you to better sell to people on the social media site. Showcase your products on your business page and drive them to your shop.A single click allows you to sync your product catalogue with your Facebook shop. You can highlight your best selling products on Instagram as well as Facebook and even tag them in photos if you want. Get organized by placing your products in appropriate collections. All of this is done in a mobile compliant format, so your products still look good on the small screen.If you run Facebook ads, this extension will help you get the best out of your campaigns. Use your Facebook pixel to grow your audience and reach those groups most interested in your products. Re-target previous visitors to your site on Facebook.Monitor your conversions to see how well your ad is performing. Optimize your advert towards people who are more likely to add to cart and complete their purchase. This extension also includes a Messenger plugin which enables you to create a seamless chat interaction with your customers, both on your store and when they have left. It gives you the opportunity to keep the conversation going without the need to ask for contact information. The well-known email marketing platform that is used by over 17 million users has developed an extension to integrate their service with WooCommerce. If you use MailChimp this extension gives you the opportunity to improve your marketing strategy. Their WooCommerce extension allows for your customer’s purchase information to seamlessly sync with your MailChimp account. This gives you the power to present a follow-up marketing email after a customer has purchased, automatically. You can recover abandoned carts, recommend products and send out targeted campaigns. And do all this for free.The extension also gives you the ability to automatically generate a popup form which gives your store’s visitors the chance to become subscribers. Send out emails which include WooCommerce discount codes and other automation. Highlight a particular product that you want to promote, with customizable landing pages as well.You can use your customer data from MailChimp to create better Facebook and Instagram advertising campaigns. Take the opportunity to boost sales by combining email marketing with Google remarketing. On average as little as 2% of shoppers convert into customers on their first visit, remarketing gives you a second chance at the other 98%. An important part of running a successful store is getting return customers. One way to improve your customer retention is by improving your customer’s purchasing experience. If someone is able to choose the delivery date of their purchase, it removes another possible roadblock that could cause cart abandonment. The developers of this extension make the claim that simply allowing the customer to choose a delivery date, actually reduces cart abandonment by 50%.You can modify the extension to disable days which you don’t deliver, set the minimum delivery in hours and set non-delivery for holidays. 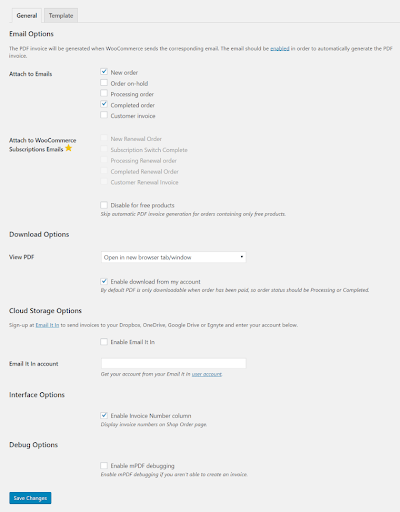 You can also limit the number of orders per day and disable delivery for virtual products.The extension is well supported and if it really does reduce cart abandonment for you as they claim, the Pro version will definitely be worth the upgrade. 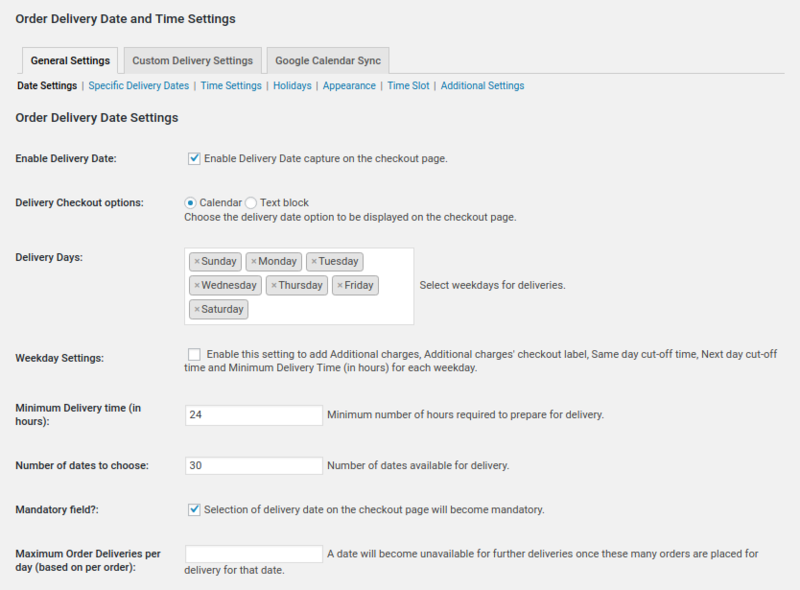 The Pro version gives both you and the customer more options, including setting a delivery time as well as a date. Operating an eCommerce shop can be difficult, but implementing some of these WooCommerce extensions should make a marked improvement in your workload. They should also greatly streamline and improve the customer’s shopping experience in your store. Along with using the WooCommerce extension, the hosting service your eCommerce shop uses is equally important. If you build your website on the WordPress platform like us, then WordPress Hosting is the best choice for your eCommerce shop. Combining the best hosting service and WooCommerce extensions will naturally bring an improvement to your eCommerce shop.